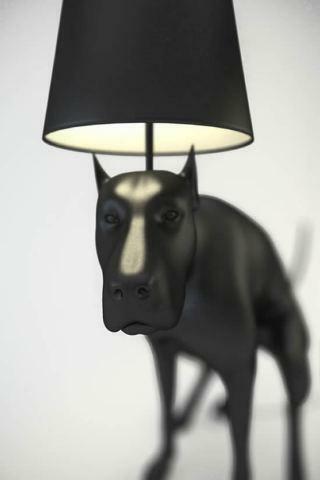 The web is buzzing about these funny dog lamp sculptures behaving badly, much like the flies around a pile of -- well, you know. They were entered in London's Art Below exhibit but unfortunately someone at the London Underground didn't get the joke. The statues, by British artist Whatshisname, were summarily banned from the exhibit for being offensive. 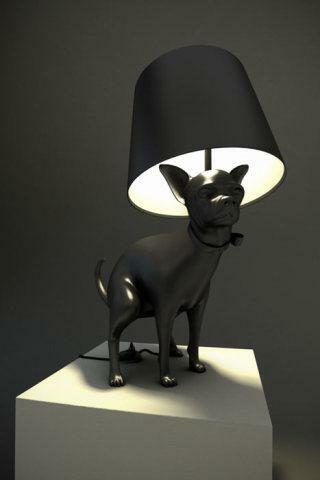 To turn the lamps on and off, you must press or step on the pile of poop. Perhaps it is this whimsical touch to the sculptures that made them so "offensive." Since the plastic pile neither sticks nor smells, it is hard to see how offensive it could be. Sometimes taking a dump requires concentration, which is evident in Good Boy's face as he does his business. Good Puppy is now available in a limited edition worldwide. Only about 200 of the sculptures are available for about £1,000 each, plus tax -- if you can locate one.